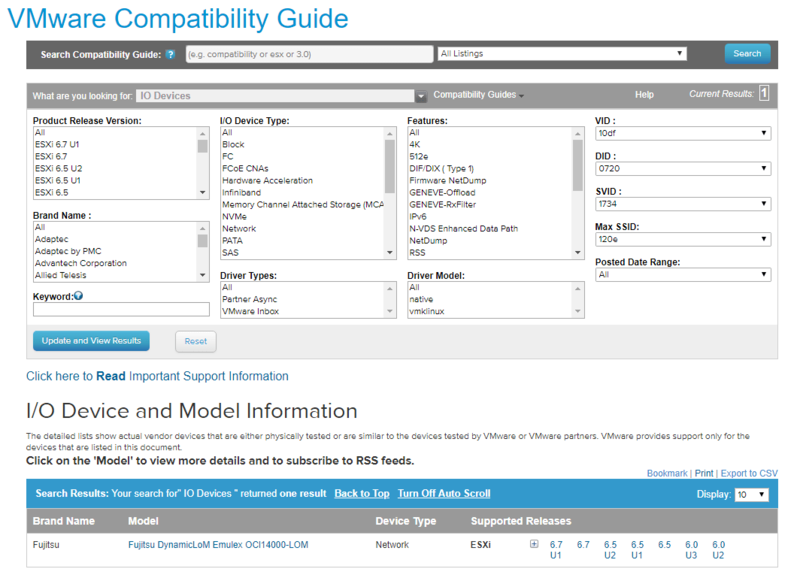 Compatibility is one of the most important topics in VMware environments (and any other environment for that matter). 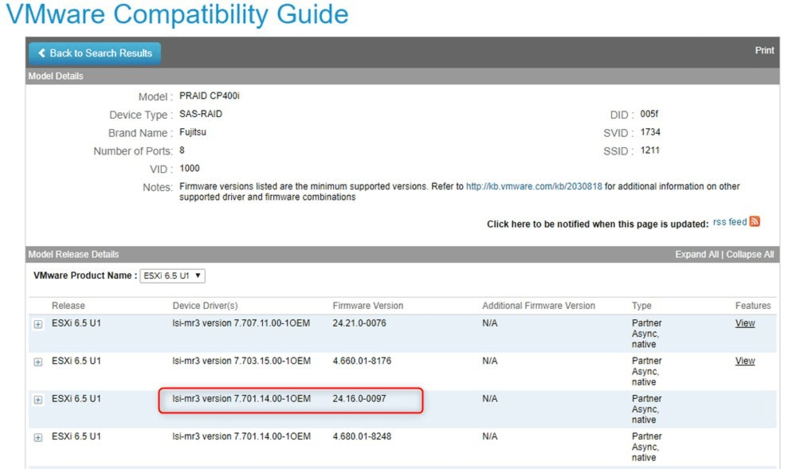 VMware places a lot of resources into certifying Firmware and Drivers versions with ESXi releases by maintaining the VMware HCL (Hardware Compatibility List). Checking the HCL is an unspoken rule of thumb when troubleshooting a problem, installing new hardware or upgrading a host. It is important to keep your servers in compliance with the HCL otherwise you run the risk of having issues due to incompatibility. 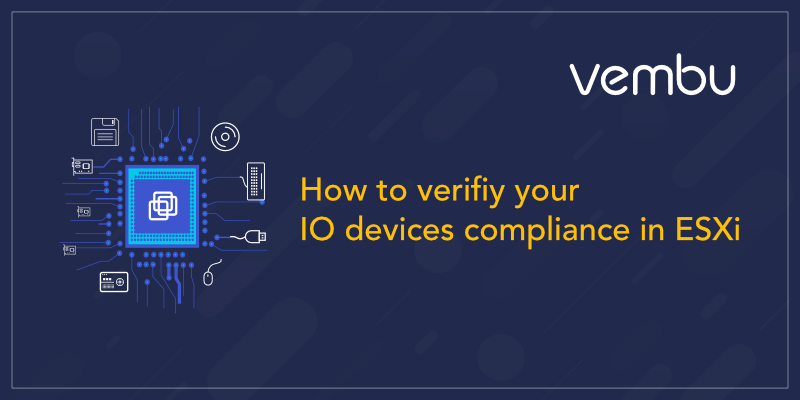 In this article, we will see how to verify that your network cards and storage HBAs are compliant with the HCL. 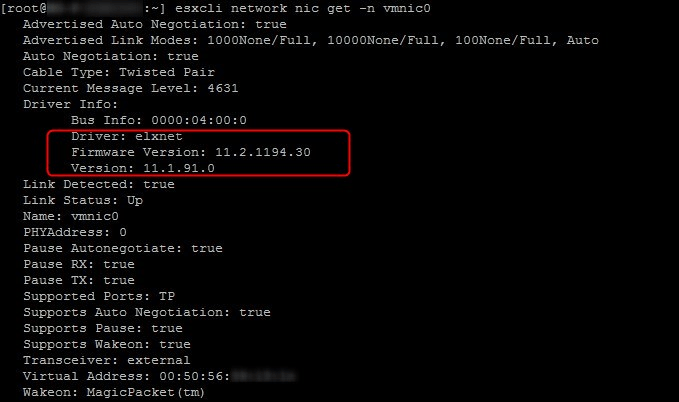 We are doing it old school with the cli so you can do it even if the host is goosed and you only have the ESXi shell at your disposal. The output will show the different HBAs and what driver they are using. In this case, vmhba3 is an Avago MegaRaid SAS controller using the lsi_mr3 driver (module). Here you can see that it is running version 7.701.14.00. We find the driver version again along with the Hardware IDs and the Firmware version: 24.13.0-0105. If you still can’t find the firmware I suggest you look into the Out of band management card (iDrac, iLO, iRMC, …) and see if you find it there. 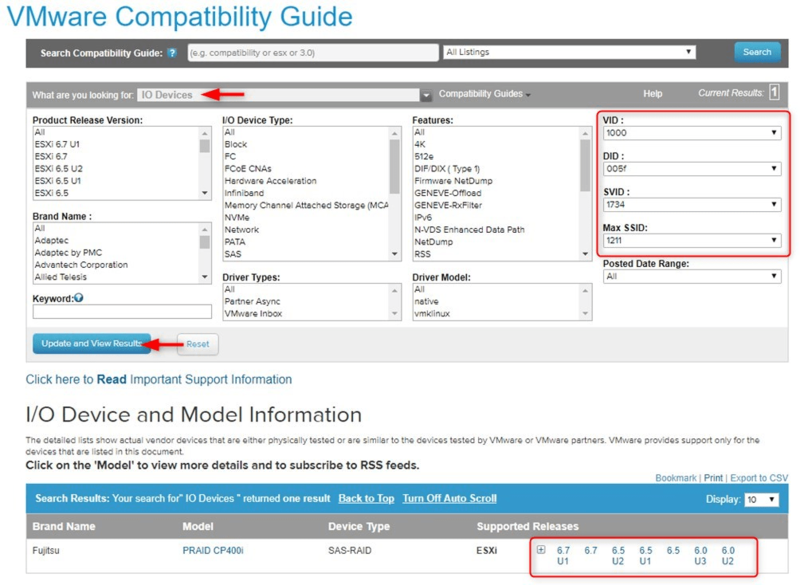 The output should be as follows and gives you the IDs that you need to use in the VMware HCL. Network cards are a little bit easier to work with than HBAs as you can get a lot of info with esxcli. Note that you can also use localcli if esxcli is unavailable for some reason (yes it can happen). The output should be similar as the following one. We get the driver installed, its version as well as the Firmware version. 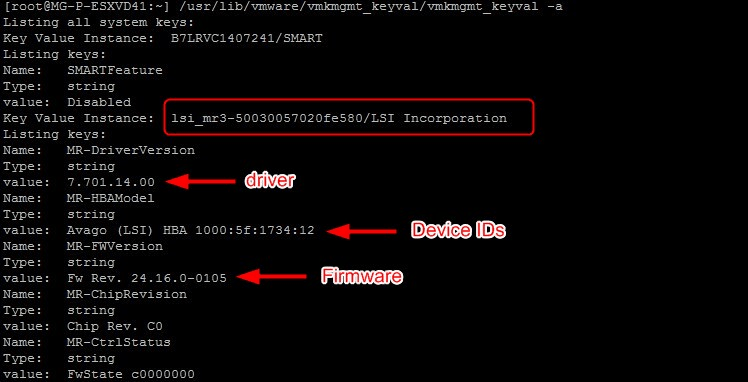 In this case, we can see that our driver is certified but has no firmware associated. This means that VMware didn’t capture this information during the certification process. 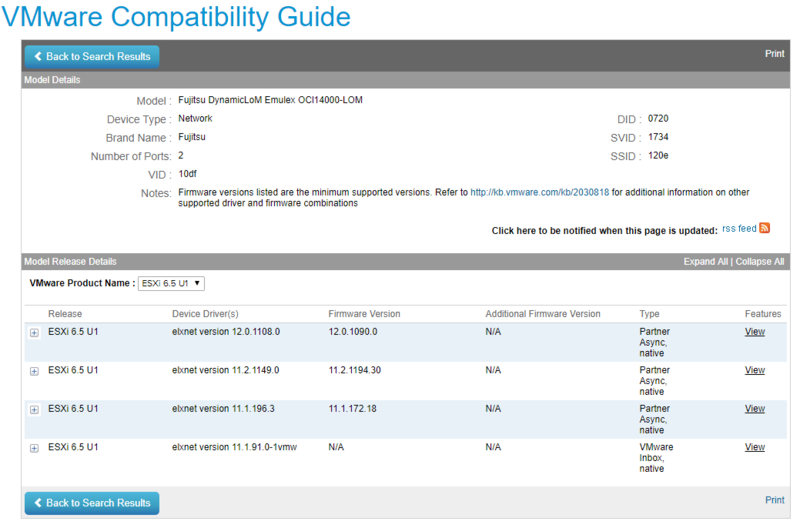 You may be able to find this information on the website of the hardware vendor (though unlikely).